When it comes to choosing the best vinyl flooring, there are many factors to consider. Vinyl flooring in Singapore is just one of the many worthwhile investments you can give to your home. A good tip is to research about vinyl flooring before heading out to showrooms to view actual samples. Learn the difference between vinyl sheets, vinyl planks, and vinyl tile or the different thickness available in the market. 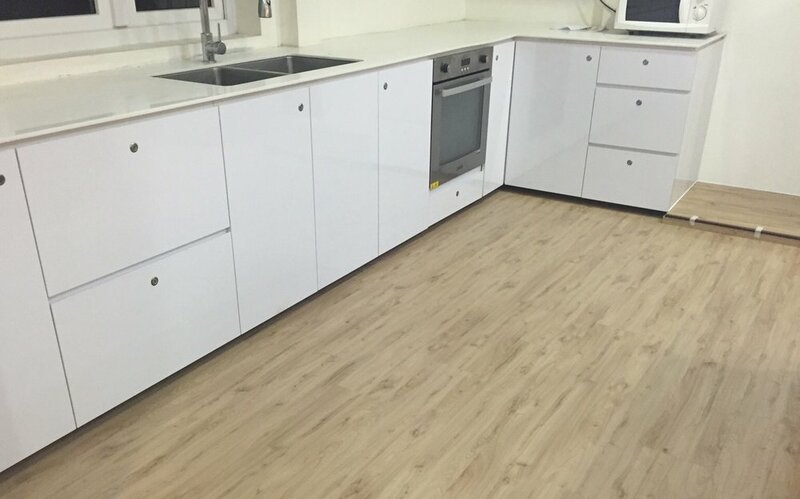 We recommend buying at least 5mm Vinyl Flooring In Singapore with added ceramic beads technology for that added wear and tear protection. Additionally, it’s good to know that high end resilient flooring is the premium kind of vinyl flooring which are generally thicker, provides extra resilience and are available in more realistic luxurious patterns and designs. While knowing more about the product is important, the company selling vinyl flooring in Singapore must be a reputable flooring contractor. This flooring company in Singapore must have their own showrooms / gallery, must have their own installation team, have their own team of sales, accounts, and marketing, and of course, this company must be registered locally. While freelance contactors generally offer cheaper vinyl flooring prices, the price you may pay for not being able to track or contact them if ever a dispute happens will always be higher. An excellent quality product and a reputable flooring company must issue a warranty. This gives assurance to the end users that they are buying good quality products and don’t contain manufacturing defects. When it comes to vinyl flooring, the minimum warranty you should be looking for a commercial usage is 10 years. For residential vinyl flooring, the best is always lifetime warranty. A healthy home comprises of healthy building materials. Has the vinyl flooring been tested against harmful chemicals such as phthalates and formaldehyde? Is it safe to use for kids and the elderly, even pregnant women? The best vinyl flooring suppliers in Singapore would always show you actual testing certificates. This proves that these flooring providers also put end-users’ safety and health as top priorities other than generating sales. With the busy working lifestyle in Singapore, maintaining a flooring can be a hassle and time-consuming chore. Choose a vinyl flooring that is easy to maintain – that which requires only regular sweeping and mopping once or twice a week so you can have more quality time with your family. 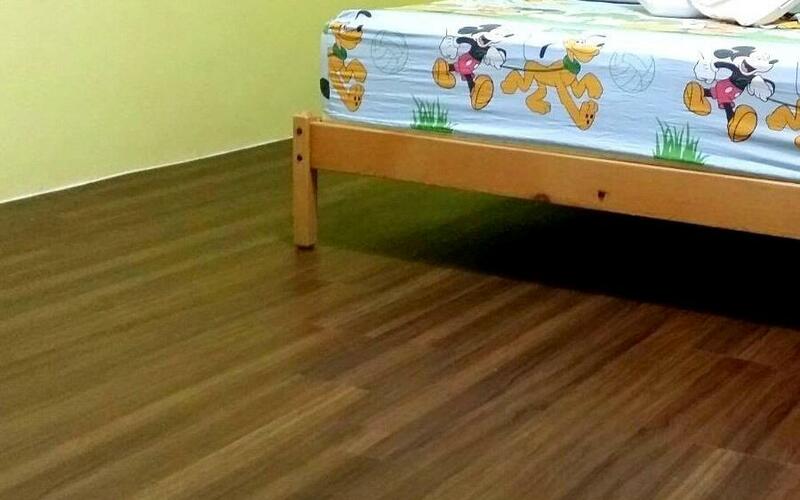 The cheapest vinyl flooring in Singapore does not necessarily mean it is the best. Finding the balance between product quality, product cost, and warranty by a flooring company is the key. For example, you may save a lot by choosing a cheap flooring now but in the long run would spend more because of the high maintenance and replacements costs not covered by warranty. While not a top consideration, design is also important if you want to bring a certain character to your interior. You would not want to come home everyday and regretting that vinyl flooring design choice. Your flooring will be with you for a long period of time. Choose wisely from reputable vinyl flooring contractors in Singapore and do a research before hand on what are the trends and timeless flooring designs choices. You can also ask a flooring consultant for design recommendations that will complement with your interiors. The Best Vinyl Flooring entails good installation and workmanship. Awalys check for a flooring company’s previous works and check if they have their in-house installation team of skilled and ethical workers. What better way to know if the vinyl flooring is the best than to ask the previous homeowners like you? Check on the flooring contractor’s website or social media pages on available reviews and from there, you can narrow down your choices of the best vinyl flooring brands according to your design requirements, health considerations, workmanship standards, and budget. The best vinyl flooring in Singapore is not hard to find. Be equipped with the necessary flooring knowledge and you will eventually be able to install the right vinyl flooring for your home. Contact us today for free flooring advice and recommendations. Newer PostWhat is WPC Decking?